Hi there. Today, I’m going to take care of PHP framework symfony and I’ll show you how to install it on your Linux machine by using docker. If you use MacOS and you have installed docker as I described in my last note then you have to wait a while. I will describe it in another post. As I’ve written before, symfony is a modern PHP framework, you can use it to create complex website. What is important, symfony has one of the biggest community. At this moment, it has more than 2 000 project contributors! TL;DR: If you don’t want to read this article so you can go directly to the bottom where there is a full recipe ready to copy, paste and run. 2 What will I show you? 3.7 How can I work with my code? If you don’t know why you should use symfony when you use PHP at your work, let me show the most important features. It’s open source – look at source code. Has Long Term Support (LTS) – you can use it for years and be sure it will be safe and supported. Easy to use – install by using one command. A lot of components – list on the bottom of this article. How to install symfony by using a single container in docker. Without http, database, queue server. Just symfony ready to work. How to receive easy access to bin/console. How to tracking the symfony logs. First, what you need to do is to create your workspace and Dockerfile. docker build . 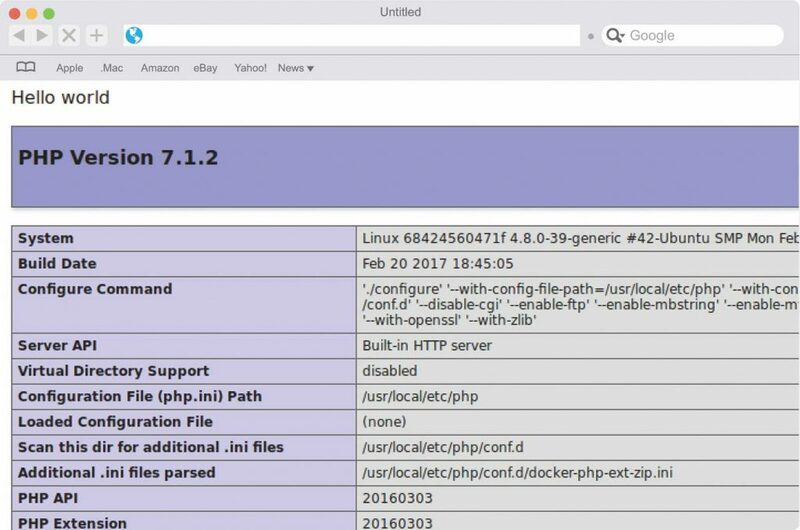 --tag "symfony"
It downloads the PHP image from dockerhub, build your local image and allow you to use that container by using simple name symfony. You can ignore the warning from the first line because you are running it at the container. It creates /var/www folder where we will storage our app, gets symfony code from server and make bin/console executable. 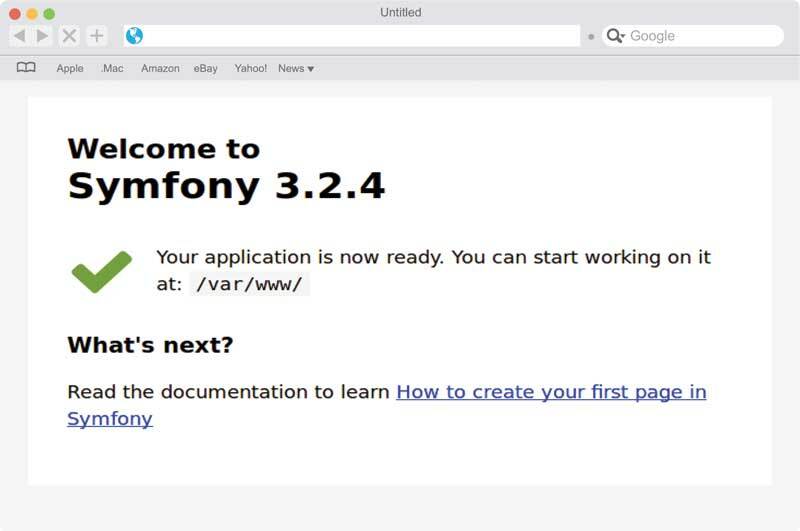 Then, open your browser and go to http://127.0.0.1:8080 you should see Welcome page from symfony. As you can see, the command is shorter. But it still works, you can run again your browser to test it. How can I work with my code? Ok, you installed symfony but how can you get access to the sources? Yes, you have to add that code to end of your Dockerfile, save and rebuild your docker images. Now you have to run three commands, first copies sources to your machine, second kills the container which you run before and the last one recreate a container again, but this time uses files from your host. And just run your browser, go to http://127.0.0.1:8080/info.php. You should see Hello world and information about installed PHP. Everything without touching docker. If you want to read more articles about how to work with symfony on developer machine, let me know about that in comments, tell me what I should describe. Next Next post: Travis: How to configure Symfony to cooperation?